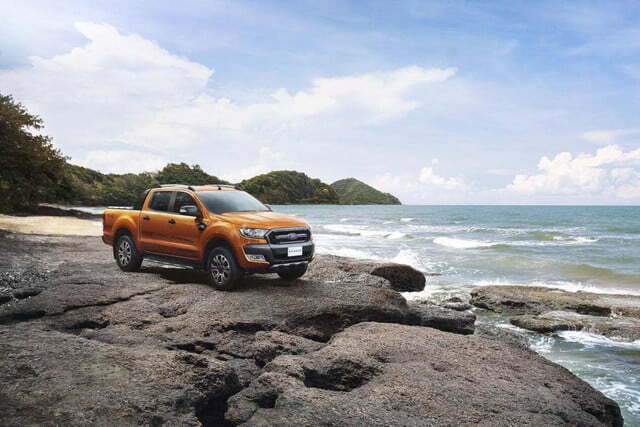 Ford has introduced a range-topping version of the recently-updated Ranger pickup dubbed Wildtrak. Available in a number of global markets including Thailand and Australia, the truck is aimed at well-off families who need a capable off-roader to tow a heavy trailer or venture far off the beaten path. 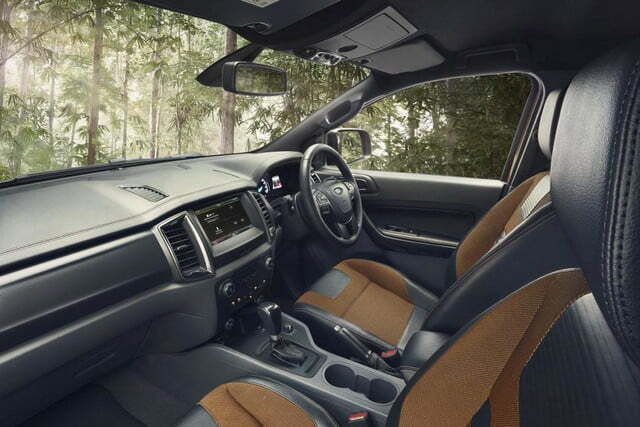 Visually, the Wildtrak stands out from the standard Ranger thanks to dark gray accents on the grille and the front bumper, fog lights, blacked-out fender vents, dark gray mirror caps and a standard roof rack. The back end gains dark-tinted tail lamps and a gray bumper, while model-specific 18-inch alloy wheels wrapped by off-road tires and Wildtrak decals at the bottom of the front doors finish off the look. The upscale treatment continues inside the cabin with two-tone upholstery, soft-touch materials, and a sprinkling of dark chrome trim on the dashboard and on the door panels. All told, the Ranger Wildtrak is closer to a premium SUV than it is to the work truck that it was when it started out in life. Wildtrak buyers can choose from a long list of electronic driving aids including lane keeping assist, adaptive cruise control, forward collision alert and a driver impairment monitor. 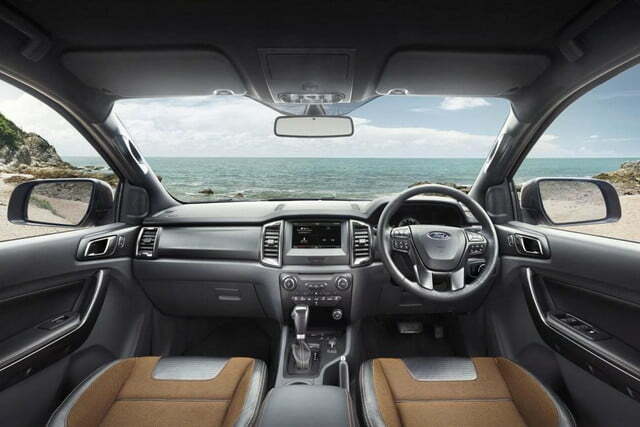 Additionally, the Wildtrak comes standard with Ford’s touch screen-based SYNC 2 infotainment system, parking sensors on both ends, and a rear-view camera. 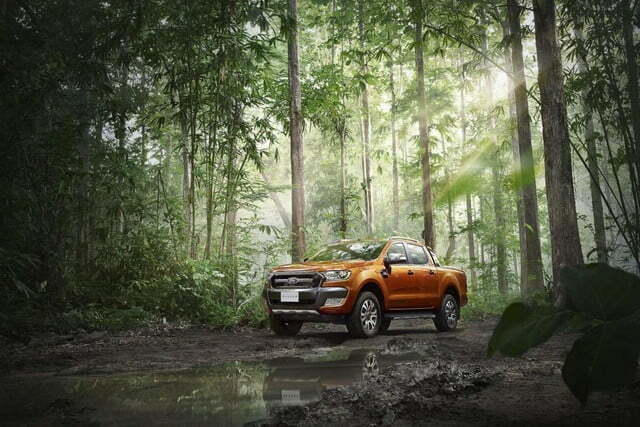 The Blue Oval has not made any changes under the hood, meaning the Wildtrak is available with a 3.2-liter Duratorq five-cylinder turbodiesel engine that makes nearly 200 horsepower and a generous 246 foot-pounds of torque. 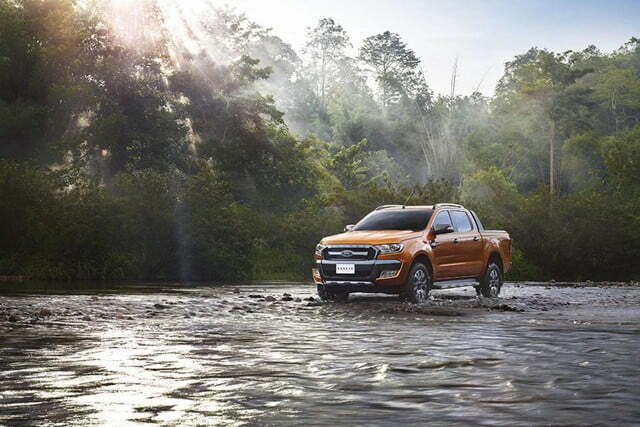 Four-wheel drive comes standard, and the truck is fitted with an automatic transmission. Ford has not revealed how much of a premium the Wildtrak carries over the regular Ranger, but pricing is of little interest to us because the pickup will not be sold on our shores.